Why Food Trucks Are Popular? The street food culture is something that’s common around the world and the food trucks are one of them. They could provide us with inexpensive meals, compared to dining in regular restaurants. Food truck owners are known to be digitally conscious and they are well aware of the importance of modern communication. In order to drive sales, they are active in Facebook, Pinterest, blogs and Twitter. This allows them to inform customers about regular schedules and their current locations. Compared to brick and mortar restaurants, food trucks are much cheaper to operate. There’s no need to buy the land and building, as well as paying for utilities. When managed well, food trucjs can be a lucrative and lean business operation. Realistically, it is possible to have an operational food truck business with only $75,000. Food trucks have the advantage of being mobile and they could go where crowd gather. They could go events, festivals and fairs, while restaurants can be nearly empty all the time. Food trucks owners are known for being a tight knit community. 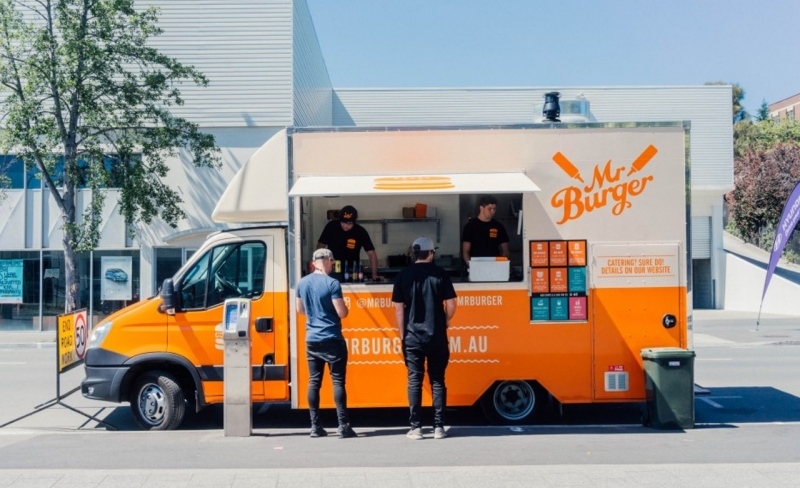 It’s not uncommon for us to see three or more food trucks with non-competing types food to create a scene on a street to attract potential buyers. They know how to generate buzz in the local area and drive sales. Once people arrive, they will get their food fast and hot. Food trucks are also popular among employees and workers who have limited time for lunch. They could go outside of the office and look for a nearby food truck. Although food trucks are considered as fast food sellers, we could also find those that sell healthy meals. Instead of getting hot-dogs and a variety of deep fried stuff, we may also get gluten free and vegan meals from some food trucks. Healthy options can be quite tasty and with dozens of food trucks in our local area, we will be able to obtain custom tailored menu to mix and match. As an example, we may get dim sum from a truck for appetizer, burrito from another for the main meal and frozen yogurt from yet another for dessert. We will get our full 3-course meal for much lower costs than what we spend in normal restaurants. Food trucks often want to stand out among others by offering something unique. We could find different regional food, cooking style and innovative techniques that are offered in food trucks. There are even interesting fusion of foods that we can find, such as Mexican-style sushi and Japanese-style pizza. If we are open minded, we should appreciate what these creative food truck chefs are offering to us. Street food trucks can also become an object of entertainment. We may enjoy a carnival-like atmosphere where people laugh and enjoy their foods happily. When the weather is nice, there’s nothing better than eating outside. What Happens When You Lose Emotional Intimacy In Marriage?